Many distressed homeowners that are considering a short sale often wonder if they have to be late on their mortgage to complete a short sale. According to many Las Vegas short sale realtors, the simple answer is no. There have been some cases where a homeowner will complete a short sale without ever having missed a payment because their hardship wasn’t completely due to financial issues. Many homeowners think that they have to have a financial hardship to complete a short sale, and while this is partially true, there are other hardships, such as divorce, job transfer, or family illness, that can qualify you. One of the main things that your lender will want to see, however, when looking at your short sale package is your monthly net income and any expenses that exceed that. While you may not think that your monthly bills exceed your net income, it’s important to take EVERYTHING into consideration, such as gas, insurance, any extracurricular activities; all of these things add up and can create financial strain on a household. If all of these things combined exceed your monthly net income, your lender will more than likely consider doing a short sale on your home. Some investors do require that you be late on your payments in order to qualify for a short sale, or if you’re not late, you need to be able to prove that you becoming late on your mortgage in the near future is unavoidable. If you are curious to see if your investor falls into this category, check with a short sale realtor in the local area to find out more. 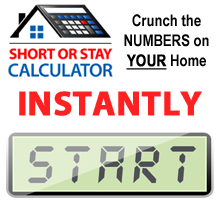 There are ways to complete a short sale without every being late on your mortgage, so if this is a concern of yours, it’s best to consult with a Las Vegas short sale realtor that can supply you with the information that you need.